Thank you to the incredible CORK volunteer team! CORK continues to be recognized internationally as a world class organization. We celebrate YOU, the amazing CORK volunteer team for your enthusiasm and professionalism throughout the years. CORK celebrates its 50th this year thanks to your dedication! The entire CORK team is ramping up for the 2019 regatta season! Regatta preparations throughout the winter and spring have been non-stop! 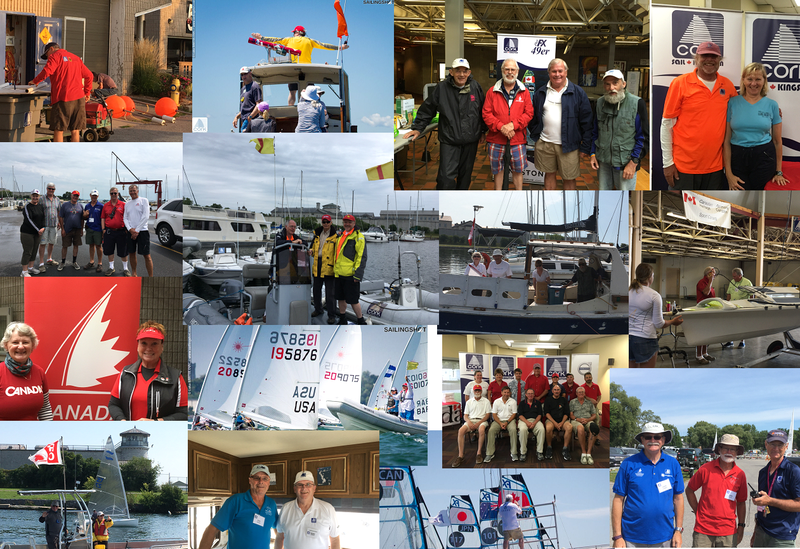 50th festivities, new flags sewn, fleet colours prepared, boats and equipment readied , new initiatives, updated procedures, future event planning and much more. We extend a sincere thank you to each and every one of you for your time, effort and commitment. As a CORK volunteer, you have much to be proud of! Your efforts make this all possible! You are the best team in sailing! Pat Lymburner is awarded the Douglas Heath Award! Congratulations to Pat Lymburner the winner of the Douglas Heath Award for 2018! 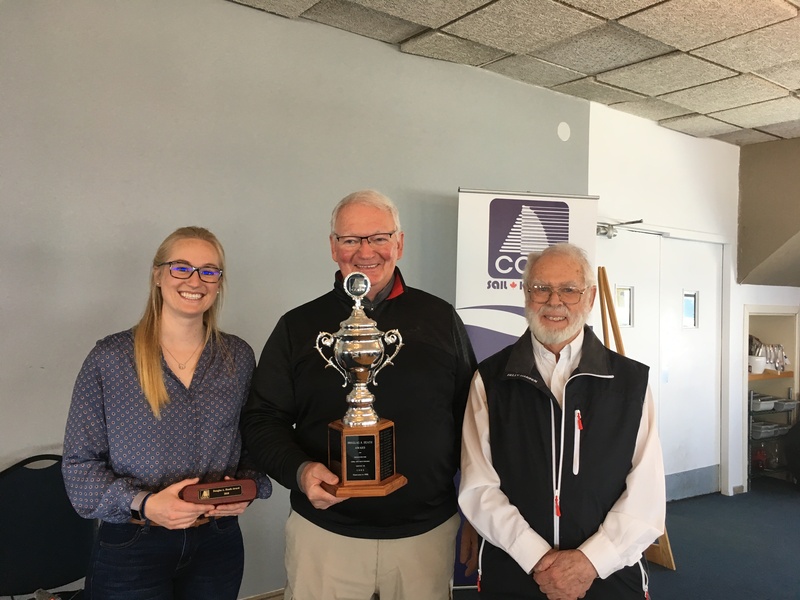 This award was presented to Pat by Lauren Heath (granddaughter of Douglas Heath) and Tim Irwin at Kingston Yacht Club on Saturday April 6th, 2019 at the CORK AGM. Douglas Austin Heath was a long time volunteer with CORK. His involvement included being on the Board of Directors and Executive, administration of Opening and Closing Ceremonies, long term developments and much more. In his honour, the Douglas A. Heath Award is presented annually –when appropriate- at CORK. In deciding upon a recipient, the Award selection committee considers a volunteer’s involvement, level of commitment, type of contribution and length of involvement. It is intended that the involvement be of a quality comparable to that of Douglas A. Heath. Douglas Heath was the epitome of an outstanding volunteer. Each year, as appropriate we honour his memory and one of our many outstanding volunteers by awarding the Douglas Heath Award. Pat has been and continues to be an outstanding CORK volunteer with almost 40 years of service. Thank you Pat– This honour is so very well deserved! Refill at a City of Kingston water fountain, Utilities Kingston portable water buggy or at any of the local businesses with a Blue Water tap refilling station. The Sailors for the Sea Clean Regattas Challenge continues today and every day! Are you looking to update, re certify or add to your skills this spring? We have several suggestions with locations across the country to get you started. NOW is the time to register! 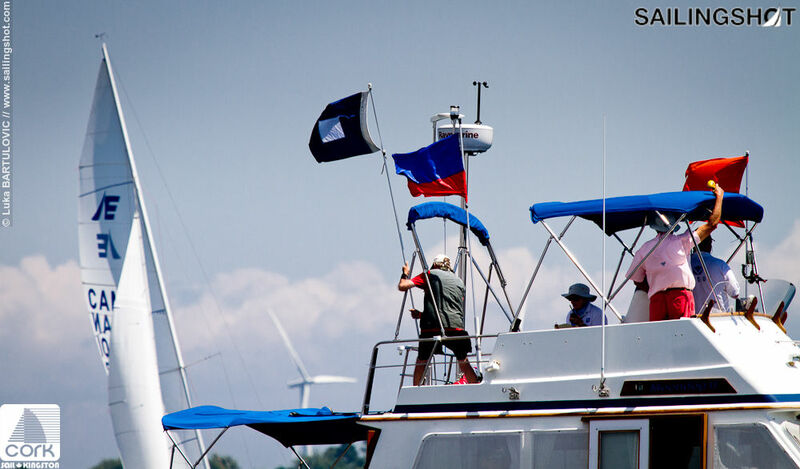 The Advanced course will cover the setting up flights and fleets, daily re-setting during the qualifying series, and potential issues related to scoring qualifying and final series. Is it time to re certify your first aid? Would you like to take a first aid course? Take a refresher CPR course? Join the CORK Team this summer! Would you like to get involved and volunteer for an International event? Since 1969 CORK / Sail Kingston has hosted world-class international sailing events. Offering the best fresh-water sailing in the world with excellent wind and wave conditions, Kingston was the host sailing venue for the 1976 Montreal Summer Olympics. 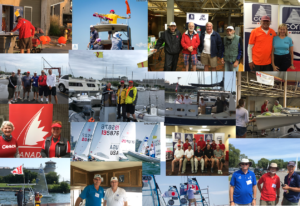 This summer over 1000 boats and 1500+ competitors will participate in a series of 2-8 day regattas (July through September). Volunteering at CORK is fun and a great way to support the sport about which we are passionate! 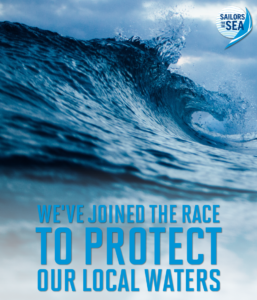 Volunteer opportunities exist both on the water and ashore. We also invite you all to volunteer for one of the many events this summer! Under the volunteer time tab click on the dates that you are available. Keep in mind that all assignments are based on the details recorded in crms. This is your opportunity to rank your interests 1st, 2nd and 3rd choice. If you have a boat to include you can click on the volunteer boat tab to do the same. Please include any additional details that you think will be useful in the comment section.